Is your iphone 6 screen is black and is not turning on, many of the apple users are facing a issue and complaints that my iphone 6 screen is black. Usually there will some power problems with the iphones but, after some months users are getting the issue of black screen on iphone 6 and iphone 6 won’t turn on or gets switched off. If your iphone 6 screen black issue has arised, then don’t worry here’s the guide to solve the issue. Usually the iphone 6 black screen occurs when you update your iphone to the newer ios, or else it may happen when you update the itunes. Generally when the itunes is updating then you will get the issue of iphone 6 black screen but on. There will be some serious scenarios where the users having the trouble of booting up the iphone. Main issue with the iphone 6 is itunes error or won’t boot up and can’t get the apple logo. This problem arises if you can’t get the white apple logo or screen gets strucked suddenly. The solutions for this iphone 6 black screen of death is solved in this article. You can even fix the issue if iphone 6 touch screen not working or glitching. If iphone 6 black screen of death fix the issue by following the steps below, you can simple solve the issue of your iphone 6. Firstly upgrade to the latest version of the itunes that is available. Connect your iphone to pc using a different USB cable. Now force your iphone to restart. Open the itunes and while your iphone is connected force it to restart and visit to the recovery mode. 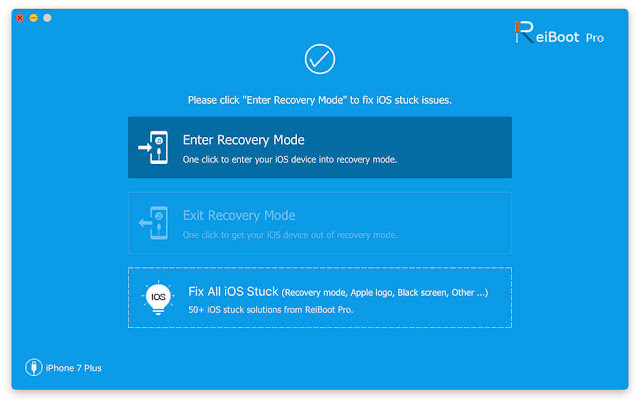 In order to force restart the issue of iphone black screen of death fix and to enter the recovery mode follow the steps below provided. These steps will also be applicable if home button not working on iphone 6 or 6s arises. Press home and sleep button simultaneously until the apple logo appears. Check for the Recovery mode screen to display. On display the options appears as restore or update, click on update to proceed. Now the itunes will reinstall without erasing the data. Wait till the itunes finish downloading, now you can exit from the recovery mode. Restart the device and then restore the itunes to your iphone. Another method of factory resetting iphone is using the reiboot, this method is easier and faster and also no itunes is required. This will restore the iphone to factory settings and your can solve your issue if my iphone 6 screen went black. First step is to run reiboot on the device. You can see the enter recovery mode and exit recovery mode. Click on enter recovery mode. Click on the setting in the top corner and choose Factory reset iphone. You will see a new menu of system recovery. Click on Fix Now. Now you can see the repairing now box. Wait for some time it will verify and decompress the issue. In case if your getting black screen on iphone 6 then you can say that it may also occur due to itunes error, but this is not a permanent error, you can simply fox this issue. But you need to follow the below steps to fix the issue of this itunes. Check your iphone is fully charged. Minimum of 1GB of storage is available. Use original USB cable to connect your iphone to pc. Update your pc to the latest OS. Finally your error will be solved. Use a different USB port. Replace the battery and cables. 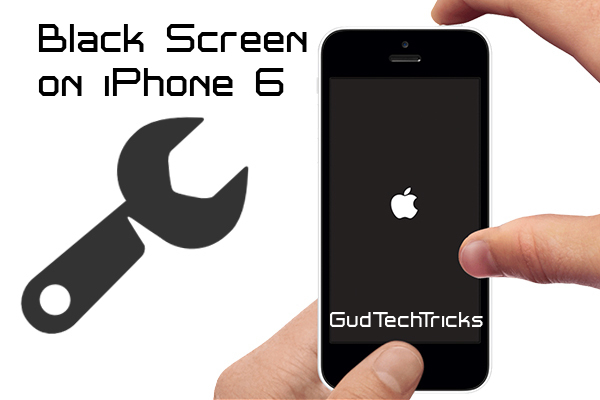 With this you will know how to fix iphone 6 black screen without visiting the customer service. Also here are some of the questions that are asked by our iphone users, you can check them. Problem: My iphone 6 is no turning on and when i press the power button, apple logo appears and goes away after that the screen becomes dim. Solution: The very first thing is ensure that your iphone has enough battery life to switch it on, otherwise you need to charge your mobile. Now switch on your device and press and hold the sleep power button until you see the slider on screen. Now drag the slider to turn your phone off completely. Wait for few seconds and then press the power button to switch on your device. If the problem persists continuously then you need to force start your device as mentioned in the article. And even if this method fails then you need to visit the customer support to avoid the issues. 2. Problem: Hello users when i was surfing internet on my device, suddenly my iphone 6 screen went blue and completely got strcuked after a minute the screen went black and the device turned off. What should i do to turn it on? Solution: This has occurred due to the power issues and software related problems, in order to fix the issue of iphone 6 you need to Press and hold the Power and Home button continuously for 20 seconds until the Apple logo appears. if you have done it already and the device is still not opening then connect your device to pc with a original cable and charge it for 20 min. Then try to open itunes and use something. Check whether your battery is sufficiently charged or not. And now try to switch on your device. If it still won’t power on then you need to contact apple support team, they will fix the issue of iphone 6. Hope you have got the solution for iphone 6 black screen of death fix, you can follow all the steps provided above and fix your iphone. You can share this article of black screen on iphone 6 if you like it. Also visit Gudtechtricks for more updates. Here you can get solution for every problems.